We eschew house-tenting, which involves filling the entire home with fumes, in favor of a more targeted method. Using the advanced KILGUARD system, we can eliminate termites without the use of foul odors or fumes. 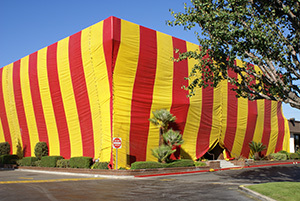 Unlike with fumigation, homeowners can remain home throughout the treatment process without having to worry about adverse health effects for their families and pets. KILGUARD has been proven to eliminate all types of termites. In fact, in many cases it is more effective than fumigation at eliminating subterranean termites, as they can’t burrow into the ground only to return later. We are so confident in our termite treatment methods that we back them with a two-year warranty. Learn more about the benefits of choosing Kilter Termite and Pest Control’s termite treatment services for your Hermosa Beach, CA, home over fumigation. Contact us today.